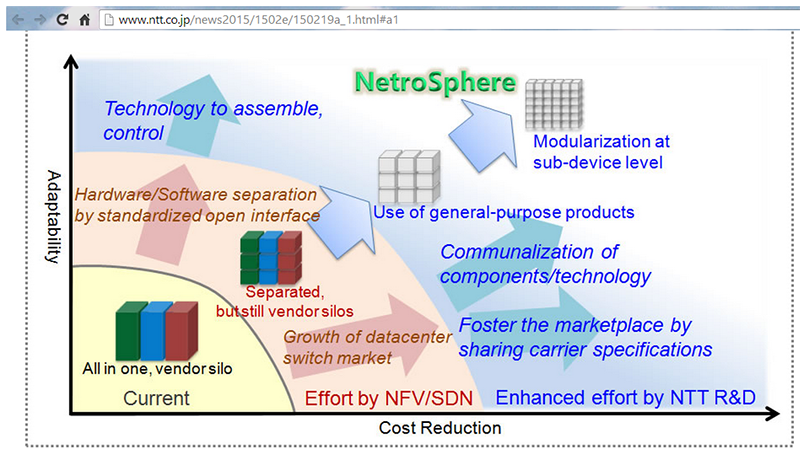 NTT outlined its work developing the “NetroSphere concept” -- a new way build carrier network infrastructure that differs from other NFV approaches by taking the decoupled software/hardware paradigm all the way down to the component level. NTT said its approach promises enhanced flexibility and elasticity while also drastically reducing costs. Breaking up the functions of conventional large-scale equipment into modules will enable a greater diversity of suppliers to participate in the market and hence widen the selection of available products. Instead of using conventional purpose-built high-functionality equipment, NetroSphere aims to divide them into small modular components, and flexibly assemble those components at will. NetroSphere will not limited to decoupling software components from equipment. It pursues modularization as much as possible, ultimately at the sub-device level such as the CPU and memory. These modules will be distributed in locations that are optimal for each type of them, and prepared to be used as resource pool. Then, they will be virtually assembled to form a virtual system to provide required functions. There are two components to the NetroSpher concept: (1) Multi-Service Fabric (MSF), an architectural design of carrier network in which functions are achieved using simple general-purpose servers and switches, and (2) New Server Architecture (MAGONIA). NTT plans to open its work on “MAGONIA” and “Multi-Service Fabric (MSF)” to other carriers and vendors. Alcatel-Lucent introduced a new portfolio of LTE radio access portfolio designed for making the transition to 5G while leveraging Network Functions Virtualization (NFV) technology. 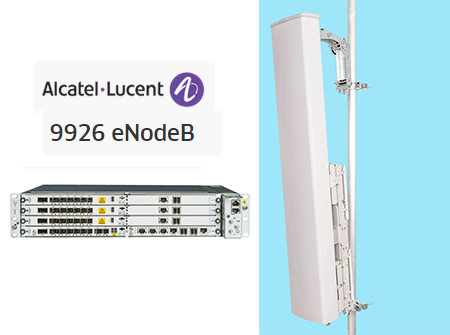 The rollout features the new Alcatel-Lucent new 9926 eNodeB – comprising a digital baseband unit and radio frequency (RF) platform. Alcatel-Lucent said its new digital baseband unit (BBU) will consume 50% less energy and almost tripling existing capacity - supporting up to 24 radio cells and 16,000 users in one unit. It supports both LTE-TDD and LTE-FDD and can be deployed with existing BBUs. Significantly, it will also support centralized network architecture, including the implementation of virtualized RAN - or vRAN infrastructure - as well as the eventual launch of 5G networks. The portfolio’s RF platform uses a modular design optimized in terms of size, power, bandwidth, performance and reliability. Using common hardware and software assets across spectrum bands, it allows for simple adaptation to meet specific customer needs, reducing time-to-market and leveraging innovation developed for other bands or configurations. Wideband capabilities allow operators to utilize fragmented spectrum, covering entire bands with one radio, while remote software configuration of transmission modes means it can easily and quickly be adapted in the field to meet changing market demands and traffic patterns. Two new boards are introduced, both based on Freescale’s® QorIQ Qonverge™ B4860 base station-on-chip SoC. The new digital BBU is already deployed in a large-scale commercial TDD network application. Wideband/dual band capabilities provide support for multi-carrier or multi-band deployments in a single unit. Remote software configuration of transmission modes (2T2R, 4T4R, 8T8R) enables operators to meet changing market demands. PIM-free blind mate connections allow operators to easily mix and match radios to support different active antenna configurations. The TDD platform is already commercially deployed and the FDD platform will be made commercially available during Q1 2015. NBN Co has selected ARRIS to build a next-generation Hybrid Fiber-Coaxial (HFC) network for Australia's broadband network. Financial terms were not disclosed. NBN Co expects that using HFC technology will yield significant cost savings for Australian tax-payers over its previous FTTH network design. ARRIS said its platform will allow NBN Co to enhance and manage its cable access network while providing a roadmap for possible future migration to DOCSIS 3.1 architecture. 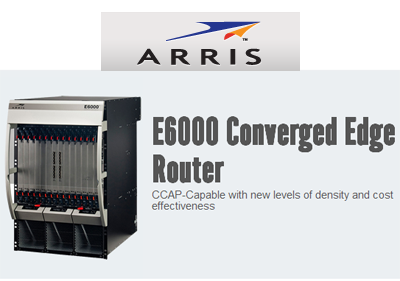 The initiative involves its flagship E6000TM CER (Converged Edge Router) along with a number of additional ARRIS product lines, including: ARRIS Access Technologies and Supplies (ATS) products (CORWave forward path transmitters and OM4100 optical receivers) and Assurance solutions for service assurance. Additionally, ARRIS's Global Services was selected for the full deployment and network integration of this national broadband service. In addition, ARRIS Global Services group will assist NBN Co in managing and supporting its network and customers. 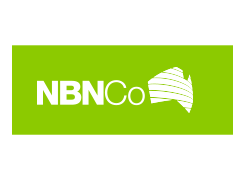 NBN Co CTO, Dennis Steiger, said: "An HFC network represents the fastest and most cost-effective way to deliver it to consumers and businesses in the existing HFC network areas. Our goal is to achieve high-speed broadband as quickly possible, with an eye on future technologies that will secure our place as a global technology leader." Steiger continued: "Significant investments are being made in HFC broadband technology on a global scale, and we are committed to ensuring that Australia is at the forefront of this movement." Bruce McClelland, President of Network & Cloud and Global Services at ARRIS added: "ARRIS is honored to be selected by NBN Co for this exciting project and whole-heartedly endorses the use of HFC technology to proliferate Broadband across Australia. The ARRIS portfolio of Products and Services are at the heart of many Broadband networks around the world, and we look forward to expanding our presence in the Asia Pacific region. We are delighted to be working with NBN Co at such an important stage in this initiative." In December 2014, Australia's NBN Co announced a new national rollout plan for the National Broadband Network (NBN) based on a multi-technology access strategy, including fiber to the premise (FTTP), fiber to the node (FTTN), wireless and upgraded HFC. Areas where NBN FTTP has been deployed or is in advanced stages of being built will likely remain part of the FTTP rollout, while areas served by the Optus or Telstra Hybrid Fibre Coaxial (HFC) cable networks will likely receive fast broadband over an upgraded HFC network. The plan covers the next 1.9 million homes and businesses by mid-2016 across more than 400 cities, suburbs and towns, on the path to achieving 8 million connections to the NBN by 2020. Nokia Networks will showcase LTE for machine-to-machine communications (LTE-M) for automotive, wearables and smart grid connectivity in a joint demonstration with Korea Telecom at the upcoming Mobile World Congress in Barcelona. The pre-5G LTE-M prototype aims to connect an extreme number of sensors and other devices even in remote or low-coverage locations beyond the range of traditional shares. LTE-M will also be optimized for extremely low power utilization in the device. Nokia said the goal is to achieve a battery life of more than 10 years with four times more coverage than conventional LTE. Kathrin Buvac, Vice President Strategy at Nokia Networks, said: "The Internet of Things, a driver for what we call the Programmable World, opens tremendous potential to expand the human possibilities of technology. Within the next ten years, we will see 50 billion things connected, enabling industries to become more efficient and helping people to improve their daily lives. At Nokia Networks, we are already demonstrating key technologies like 5G that will make mobile networks the natural choice for bringing these possibilities to reality." Extended Nokia Mobile Guard to detect malware or abnormal IoT device behavior via device profiling. When an IoT device is hacked and its processor or Internet connection is used for fraud and other attacks, Mobile Guard recognizes these devices and takes actions for mitigation. 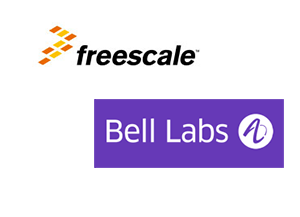 Freescale Semiconductor and Alcatel-Lucent's Bell Labs agreed to expand a long-term partnership in both commercial and research endeavors, pairing Freescale’s networking silicon and software with Bell Labs’ systems knowledge. The companies are collaborating on a range of new initiatives intended to drive further innovation for the world’s increasingly virtualized networks. Specifically, the companies will collaborate to create an industry-first universal access device that can flexibly be used for any combination of wireline and wireless connections. 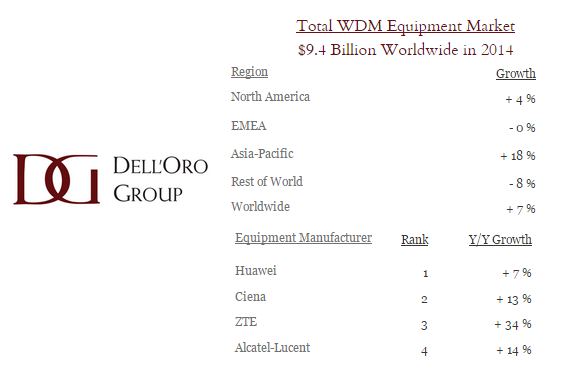 The total Wavelength Division Multiplexer or WDM market, comprising long haul and metro applications, grew seven percent in 2014, reaching almost $9.5 billion, according to a new report from Dell'Oro Group. “It was another strong year for optical WDM equipment,” said Jimmy Yu, Vice President of Optical Transport research at Dell’Oro Group. “The majority of market growth for the year came from heightened demand in China where all service providers are shifting from rolling out 40 Gbps wavelengths to 100 Gbps wavelengths. As a result, we calculate that the global shipments of 100 Gbps wavelengths doubled in 2014, contributing nearly half the total market revenue for the year,” added Mr. Yu. Regional growth rates and WDM Equipment market share leaders for full year 2014 are listed in the table below. Jimmy Yu, Vice President of Optical Transport Research at Dell'Oro Group, discusses key trends including a return to growth for DWDM and optical packet transport. 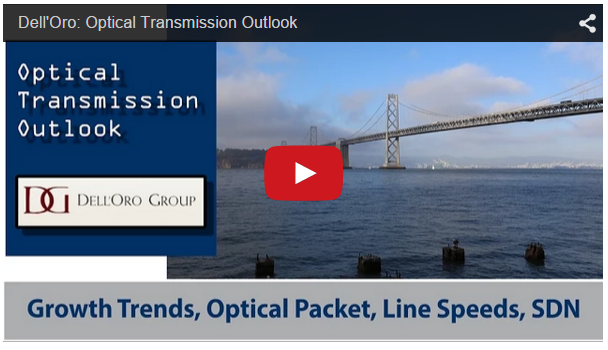 The video also explores market traction for speeds beyond 100 and the impact of SDN on optical transport sales. Telekom Austria Group’s Serbian subsidiary, Vip mobile, demonstrated a fully virtualized LTE stack in a live network delivering data, voice and IMS services. Connectem provided the virtual Evolved Packet Core (vEPC). Metaswitch provided its virtualized Clearwater IMS Solution and OpenCloud provided the virtualized VoLTE functionality. VMware -- Connectem and VMware collaborated to bring VMware vSphere to the VCM solution. Telekom Austria Group undertook numerous tests to experience the resilience of Connectem VCM across VMware vSphere to understand the long-term implications of running a vEPC in a virtualized infrastructure. Procera -- Within the Connectem VCM, essential DPI functionality enabling application detection and content optimization is provided by Procera’s NAVL DPI engine. Procera’s software-based DPI technology is well suited to fit within the scalable dataplane of the VCM. Procera NAVL allows Connectem to integrate this vital traffic treatment function without the performance degradation typically generated by traditional DPI solutions. Red Hat -- The combination of Red Hat Enterprise Linux, including the Kernel-based Virtual Machine (KVM) hypervisor, and Connectem’s Virtual Core for Mobile (VCM) creates an NFV environment providing a high-performance, cost-effective OpenStack managed NFV implementation that can help to increase infrastructure flexibility and that can be scaled up or down to accommodate the needs of the network. Pakistan's Warid Telecom, has started deployments of scalable small cell systems from SpiderCloud Wireless, with Emtel Communications. SpiderCloud said the first deployments are targeted for hundreds of different locations in the major cities of Pakistan with 4G Radio Nodes providing access using band 3* and Services Nodes that are securely connected to Warid Telecom’s core network. SpiderCloud’s system includes a Services Node (SCSN) that controls up to 100 self-organizing, multi-access 3G and 4G small cells, providing reliable coverage and capacity for enterprise and venues of up to 1.5 million square feet. A system can be installed in just days using an enterprise Ethernet Local Area Network (LAN) as a managed service by a mobile operator’s network. 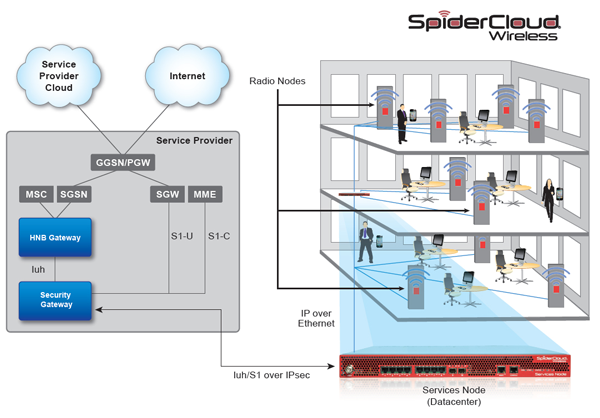 SpiderCloud has a portfolio of Power-over-Ethernet (PoE) Radio Nodes operating in 3G (single band), and dual-band 3G+4G and 4G+4G small cells as part of the system.